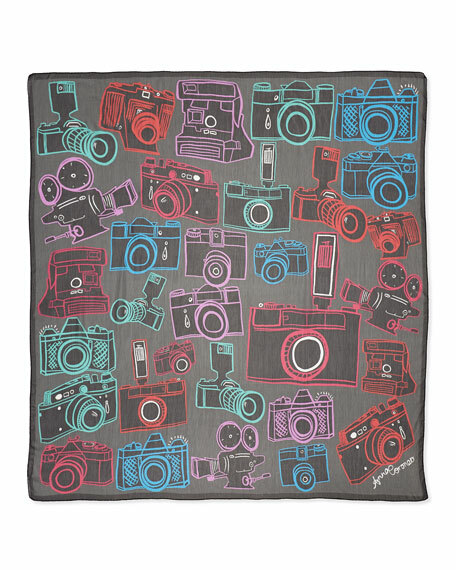 Neon camera-print scarf by Anna Coroneo. While artist Anna Coroneo hails from London, she keeps studios in both her hometown and New York. This transatlantic lifestyle influences the adventurous spirit of her work. Her paintings and photographs are displayed in solo shows across the globe, but Coroneo also lends her playful prints to luxurious accessories. 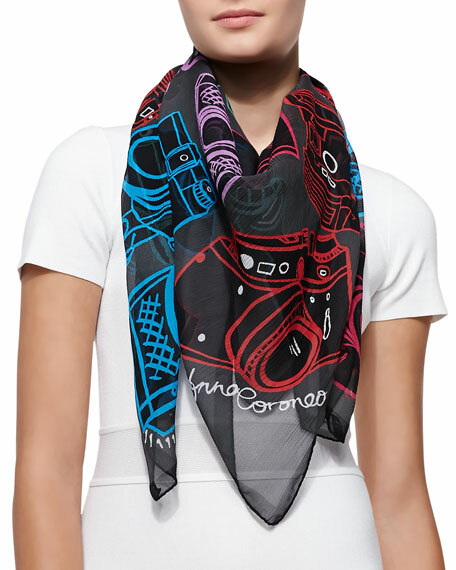 Italian silk scarves feature her signature bold hues and graphic lines. "My creative process often involves breaking down the barriers across art and design," she says. "I adapt my artworks and translate them across various media."